If you're going to buy a home, chances are you're going to need a home loan, or mortgage. Few of us can simply pay cash for a home outright. Like just about anything that involves large sums of money, home loans can seem complicated, particularly if you're a first-time homebuyer. But like other large, complex tasks, getting a home loan is mangeable if you break it down into pieces and take it one step at a time. For many borrowers, home loan interest rates are their major concern when seeking a mortgage, so we'll start with that. There's a good reason why people focus so much attention on home loan interest rates when shopping for a mortgage – they have a big effect on what your monthly payments will be and how much you'll pay over the long run. A difference of half a percentage point on a $250,000 home loan means a difference of about $75 a month on your mortgage payment – or about $26,000 over the life of a 30-year loan. So little differences add up. Home loan rates today are usually advertised online by mortgage lenders, which makes it easy to shop around and make comparisons. People typically start shopping for a mortgage by seeking out the lowest home loan interest rate they can find. However, just focusing on the lowest rate can be misleading. Lenders sometime disguise the actual cost of a loan by charging higher closing costs and fees, which can exceed the savings from a lower rate. For this reason, it's a good idea to focus on the Annual Percentage Rates (APR), rather than mortgage rates, when doing a home loan comparison. The APR reflects the total cost of a mortgage (the rate and fees) in terms of an interest rate and must be included with any advertisement or offer of a mortgage rate. It's not a perfect measure, but it offers a good rule of thumb. Unlike ticketed items in the grocery store, home loan rates don't have a single fixed price for all customers. Each borrower gets a rate that's customized to their particular circumstances. Different lenders will price their rates differently. Some may charge higher fees as a way of being able to offer a lower rate. Others may participate in various types of home loan programs that have different pricing. So it's important to shop around to find the one that's the best fit for you. Discount points are a type of fee that has a major impact on a home loan rate. Known as points for short, they're a way of buying a lower rate. Each point you buy costs 1 percent of the loan amount and reduces the rate by a certain amount – often one-eighth to one-quarter of a percentage point. Buying points can often save you money over the long run. However, lenders sometimes use them to disguise the true cost of a loan – listing a low rate but with several points added in. When checking home loan rates, always look at how many points are included – a low rate that includes two or three points may not be the great deal it appears. Another factor affecting home loan rates is credit scores. Borrowers with FICO credit scores of 740 or more are eligible for the lowest home loan rates. Lower credit scores mean higher rates and fees, sometimes substantially – a borrower with a score in the low 600s may be charged a rate a full percentage point or a point and a half higher than a borrower with excellent credit. Your down payment has an impact as well. You may be able to get a conventional home loan with only 3 or 5 percent down, but you'll pay a higher rate than you would if you put 20-30 percent down or more. The 30-year fixed-rate mortgage is the most common type of loan used for home purchases. It offers a combination of low monthly payments, because they're stretched out over 30 years, and predictability, because the rate is locked in for the life of the loan. Shorter-term loans, like a 15-year mortgage, offer lower rates but higher monthly payments because you're paying the loan off more quickly. For this reason, these tend to be more popular for refinancing a mortgage a borrower has already been paying on for a number of years. Adjustable-rate mortgages (ARMs) can help you save money by giving you a lower initial rate than you can get on a fixed-rate mortgage. However, because the rate eventually starts adjusting to reflect market conditions, you could end up paying more if rates rise. They're often used by borrowers who plan to sell or refinance in a few years, before their rate starts adjusting. Most home loans in this country are backed by one of four government-connected entities: Fannie Mae, Freddie Mac, the FHA or VA. These entities don't make loans themselves but set guidelines for the home loans they will guarantee. Lenders then follow those guidelines in making home loans to borrowers. Mortgages backed by Fannie Mae and Freddie Mac are called conventional or conforming loans and constitute the bulk of U.S. residential mortgages. These generally offer the best rates and lowest fees for borrowers with good credit or a substantial down payment. FHA loans are mortgages backed by the Federal Housing Administration. These are popular with first-time homebuyers, offering down payments of as little as 3.5 percent and less stringent credit requirements compared to conventional mortgages. VA loans are mortgages available to qualified veterans, active-duty personnel and certain others with military affiliations. They offer competitive rates and are one of the few types of mortgages that allow a home loan with no down payment these days, up to certain purchase limits. Jumbo loans are home loans that exceed the lending limits of conventional and FHA mortgages. Depending on where the home is located, those limits range from $424,100 to $636,150 for a single-family home in the contiguous U.S. states. Lenders must finance these loans outside of the Fannie/Freddie/FHA structure, and without those guarantees, so interest rates on jumbo loans tend to be somewhat higher than on those types of loans. 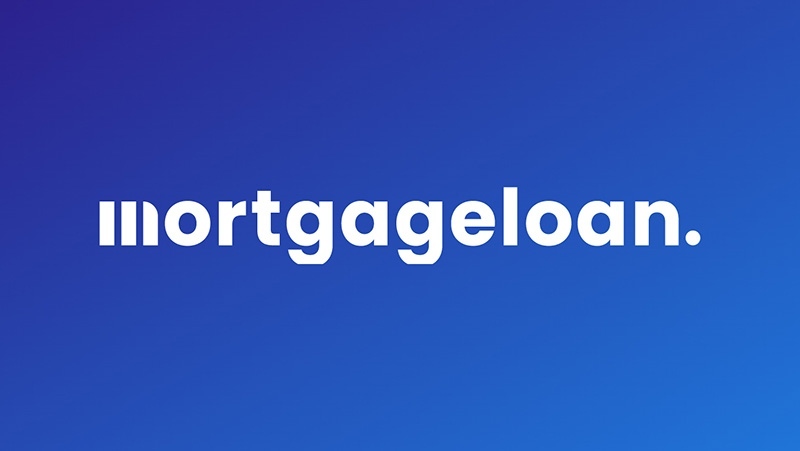 In addition to jumbo loans, some lenders will offer other types of home loan programs that are not backed by a government-connected agency. Such loans do not have to follow those agencies' guidelines and can therefore be more flexible in terms of things like credit, income, property type and the like. Fewer lenders offer these types of loans, so it may take some looking to find them. The basics of getting a home loan are fairly simple – you borrow a set amount of money and pay it back over a certain length of time at a specifiedinterest rate. The details, though, can get tricky. For most, the process of getting a home loan starts with determining how much you can borrow. The usual home loan requirements are that you spend no more than 31 percent of your gross monthly income on mortgage payments and no more than 43 percent on total debt payments, including the mortgage, though lenders may go higher for borrowers with good credit. That's what you can borrow. What you can afford may be a different matter. Just because a lender will approve you for a home loan of a certain amount doesn't mean it makes sense on your budget. You don't want to spend so much on a home you don't have money for other things you want or need, or for home maintenance and repairs. Most people start the home loan process by getting prequalified. A home loan prequalification means a lender has told you how much you should be able to borrow based on information you have provided as to your credit score, income and the down payment you can make. A home loan prequalification doesn’t guarantee you can be approved for a home loan but it does let you know what price range of homes you can start looking at. When you're ready to start looking in earnest – when you're ready to actually start shopping for homes you might buy – you want to get preapproved. There's a big difference between getting prequalified and getting preapproved. A home loan preapproval means that a lender has pulled your credit score and that you have documented your financial resources to show you can qualify for a loan. You should not have to pay a fee to be prequalified or preapproved. Once you're preapproved, the lender will give you a letter stating you're been preapproved for a mortgage of up to a certain amount. You can then show this to a home seller as evidence of your ability to qualify for a home loan when you put in an offer. This shows the seller your offer is legitimate and they can accept it with a fair amount of confidence. Preapproval doesn't mean you're automatically approved, however. Once a seller has accepted your offer, you start the process of actually applying for a mortgage. You submit a full loan application, pay an application fee and the lender begins the approval process. You may be asked to provide additional documentation as the lender reviews your finances and also checks the property itself to ensure it appraises for an adequate value and that there are no problems with the title such as unpaid taxes or other liens. The application process typically takes four to six weeks. When you have finally been approved, a closing is scheduled at which you sign all the paperwork, write any checks needed to pay closing costs or other fees not included in the loan and the ownership of the property is transferred to you. Different home loan programs have different requirements. The requirements for Fannie/Freddie loans are different from those for FHA loans. Individual lenders may have different requirements for identical home loan programs – one may require a minimum credit score of 620 for an FHA loan, another may allow a score of 600 or lower. There are some general guidelines, though. Income requirements for a home loan are less concerned with how much you make than with how much of your income goes toward your home loan and other debt payments. Your monthly mortgage payments, including property taxes and hazard insurance, should be no more than 31 percent of your gross monthly income. As we noted earlier, total debt payments, including the mortgage, should be no more than 43 percent. Many lenders will exceed these guidelines for borrowers with good or excellent credit, however. On credit, there are few hard and fast requirements. A FICO credit score of 740 or better will get you the best rates and terms, and more flexibility on down payments. As your score drops below 700, expect to pay higher rates and/or fees. Borrowers with lower scores may also be required to post larger down payments. The minimum FICO credit score allowed on a Fannie Mae or Freddie Mac home loan is 620. You can technically qualify for an FHA loan with a score as low as 500. However, you may have trouble finding lenders willing to go that low. There is no minimum credit score standard for VA Loans, but VA lenders usually have a cutoff around 620 or so. Down payments for home loans are fairly flexible. While there are certain advantages to putting at least 20 percent down, that's far from a requirement. These days, it's common for borrowers to qualify with a home loan down payment of 10, 5, even as little as 3 percent down. With conventional loans, you have to have fairly good credit to be approved with only a 3 or 5 percent down payment. FHA loans, however, require only 3.5 percent down and have less demanding credit requirements, though their fee structure makes them less attractive for borrowers with strong credit (The FHA requires at least 10 percent down if your score is below 580). If you put less than 20 percent down on a conventional or FHA loan, you'll need to pay for mortgage insurance. This is an additional monthly charge that's added into your mortgage payments and typically has an annual cost equal to about one-half to 1 percent of the loan amount, sometimes more. With a conventional home loan, you can have mortgage insurance canceled once you reach 20 percent home equity. But if you put less than 10 percent down on an FHA loan, you have to carry it for the life of the loan – the only way to get rid of it is by refinancing. There are very few options for getting a home loan with no down payment these days. The one big exception are VA loans – and those are limited to those who served in the military or have certain military affiliations. But you can get a VA home loan with no down payment or mortgage insurance requirement up to fairly generous limits – at least $424,100 on your first VA loan and even higher in certain parts of the country. One other option for home loan without a down payment home loan is the USDA Rural Development Loan program. These home loans are for borrowers of limited means who currently lack adequate housing. Availability is limited and relatively few lenders offer them. Check with your nearest U.S. Dept. of Agriculture office to find participating lenders near you. Home refinance interest rates are comparable to regular mortgage rates. You don't pay a higher rate just because you're refinancing your home. Refinance rates vary over time in response to market conditions. However, the actual rate you pay will also be determined by a number of personal factors, including your credit score, the amount of home equity you have and your debt-to-income ratio. Home refinancing interest rates also vary from lender to lender, so it pays to shop around. Don't simply go for the lowest rate you see advertised – check out the fees as well. Many home refinancing companies charge higher fees as a way of offsetting a low advertised rate. One way of getting lower refinance mortgage rates is by paying for discount points. Discount points let you buy a lower rate – for every one percent of the loan amount you pay (a single point), the rate is reduced by a certain amount, often one-eighth to one-quarter of a percent. Most home refinance interest rates that you see advertised will include discount points, often in fractions of a point. Buying points can make good financial sense, particularly if you plan to stay in the home a long time. But you also need to be aware of them when comparing rates among lenders. A handy way of comparing the "true" cost of various refinance offers is to check the APR, or annual percentage rate. This is a way of expressing the total cost of a loan, both the rate and fees, in terms of an interest rate – the lower rate, the lower the total cost of the loan. It's not 100 percent reliable – it assumes you won't sell the home or refinance again before the loan is paid off, and it's not very useful with adjustable rate mortgages – but it's a good way to make an overall comparison. To figure out what you can afford, you need to calculate what your monthly payments will be for a home of a certain price. This is where a home loan estimator comes in handy. Home loan calculators come in different types. A home loan payment calculator will figure out what your monthly payments will be for a home of a certain price at a given interest rate. A home loan eligibility calculator goes at it a different way – it starts with how much you can afford to pay each month and works out how much you can afford to pay. Many mortgage calculators will also take into account the cost of homeowner's insurance, property taxes and private or FHA mortgage insurance (if needed), all of which are usually billed as part of the monthly mortgage statement. These are considered to be part of your mortgage payment when it comes to qualifying for the loan; that is, they count toward the 29 percent of your monthly gross income your mortgage payments should not exceed. See the right-hand column of this page for a variety of home loan and other financial calculators. When you know how much you want to borrow, it's time to start shopping around for a home loan lender. Lenders can vary quite a bit in the mortgage rates they offer and fees they charge, so it's important to shop around. Don't just automatically go to your regular bank – you want to look around and see what other lenders are charging so you have a good sense of what the market is charging. Different lenders offer different types of home loan programs, or products. Some may be a better fit for certain types of customers than others. One may offer home loan options that are better for borrowers with weak or bad credit, another may have loan products that are more attractive for borrowers putting up a small down payment, others may have home loan options that are better for high-income borrowers, etc. Check with several different types of home loan lenders. Check the rates of large national banks and small local banks and non-bank lenders as well. Don't overlook credit unions. Home loan rates today are generally listed online by lenders, which makes it easy to shop around. It's also good to check with one or two home loan brokers. Brokers act as intermediaries for a number of lenders whose products they represent. As a result, they can match a client to a lender that is the best fit for them. Home loan brokers can be particularly helpful for borrowers with poor credit, income documentation issues or other special situations where the broker's knowledge of the mortgage market can be helpful. So far, we've just talked about using a home loan to buy a property. But home loan refinancing is largely the same. The big difference with refinancing a home loan is that you don't need to go through the various parts associated with actually buying the home. So you don't need to get preapproved, you don't need a real estate agent and you don't go through the parts of actually transferring ownership. When refinancing, the big question is whether you'll save enough to make it worthwhile. A home loan refinance calculator can help you estimate your current vs. projected payments, interest savings over the life of the loan and other financial details specific to refinancing. See the calculators at the top of the column at right. You may want to get preapproved by several lenders, just to get a firm idea of what sort of rate and terms they'll offer you, and choose the best one. You don't need to get prequalified, because you don't need a letter to show to sellers that you can get a home loan. You also have more flexibility on the timing when you refinance a home loan compared to a purchase mortgage, because you're not tied to a particular closing date. You can apply for a refinance when you wish and take your time committing to a lender. Home loan refinance rates are typically the same as they are for a purchase loan, given a similar borrower profile. Refinance rates were a bit higher a few years ago when demand was high and lenders were having trouble keeping up, but that's a fairly unusual situation. When refinancing a home loan, your home equity plays the same role the down payment did in a home purchase. If you have less than 20 percent home equity, you may have to pay a higher interest rate and will need to pay for private mortgage insurance.